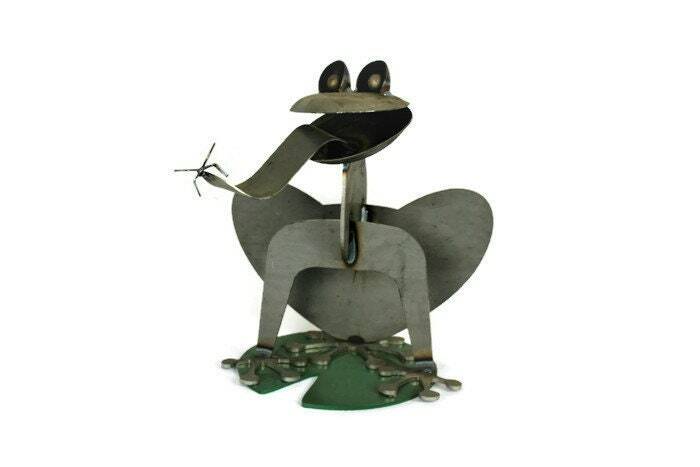 Giant metal frog straight out of the swamp! 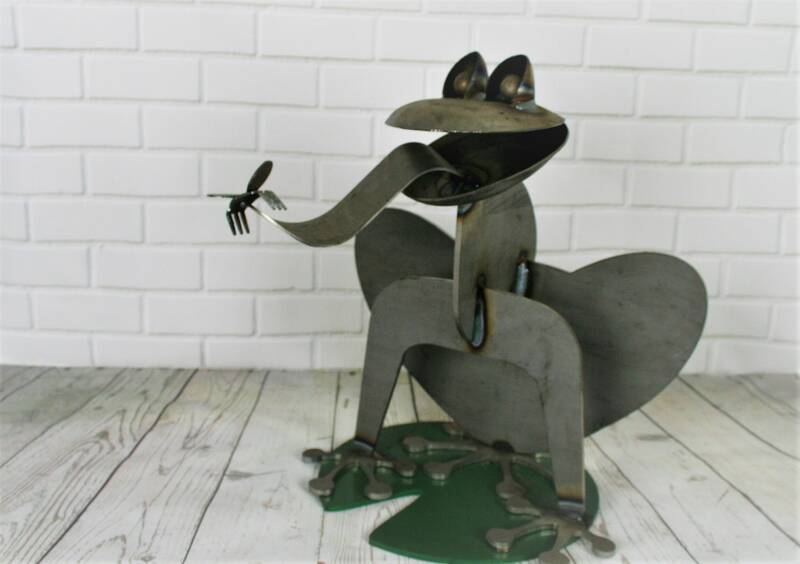 This big frog is about to catch a fly for a snack. 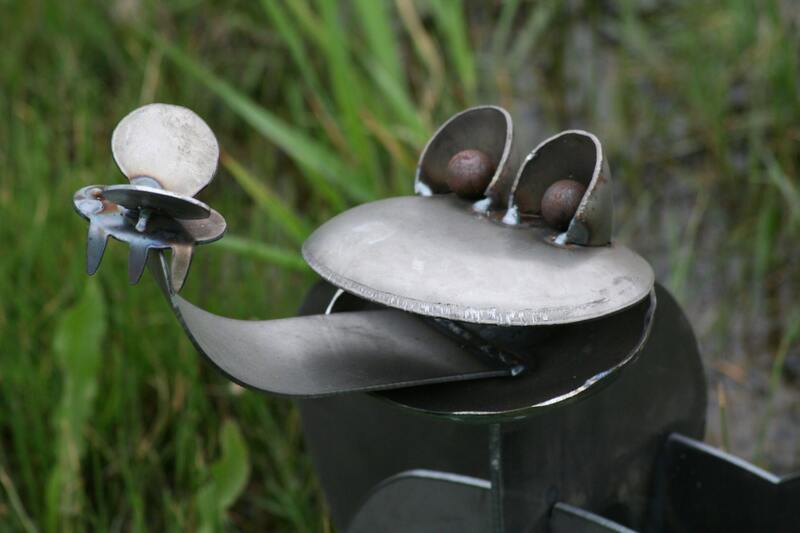 Adorable frog and his lilypad are cut from thick steel. Tongue and face are bent by hand. Even the fly has incredible details! 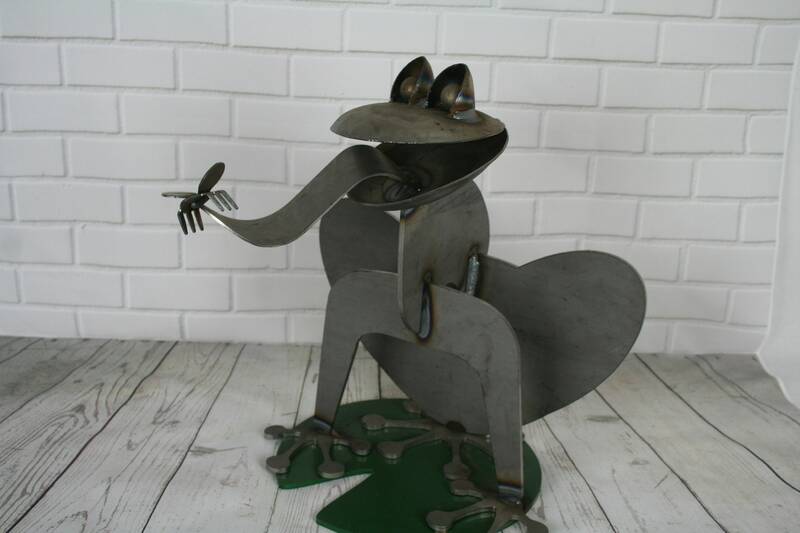 This charming frog statue will last for decades to come! Steel will continue to patina with time, creating an aged look. 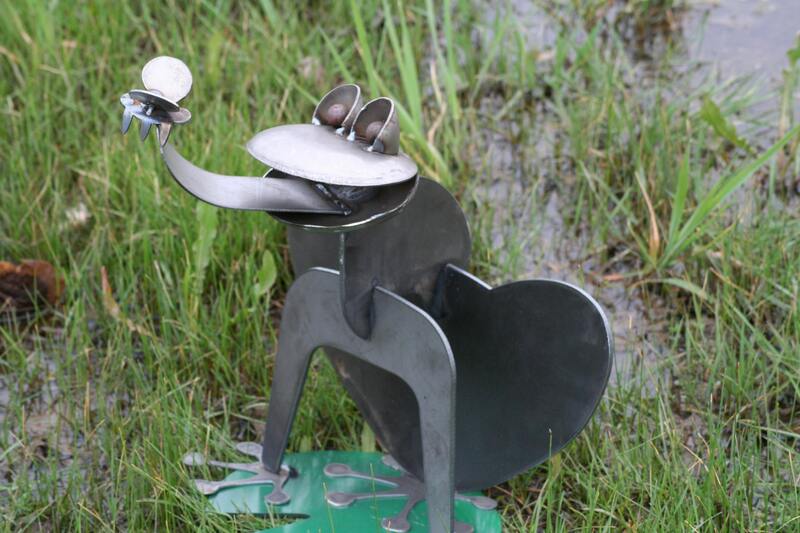 Perfect gift for any gardener! 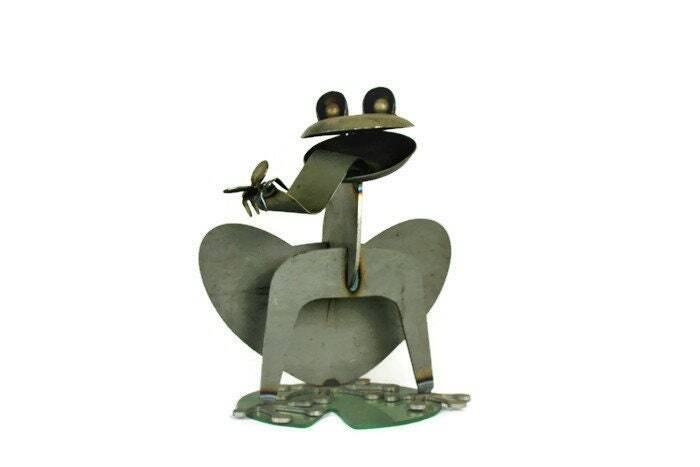 Frog collectors can't pass this one up! 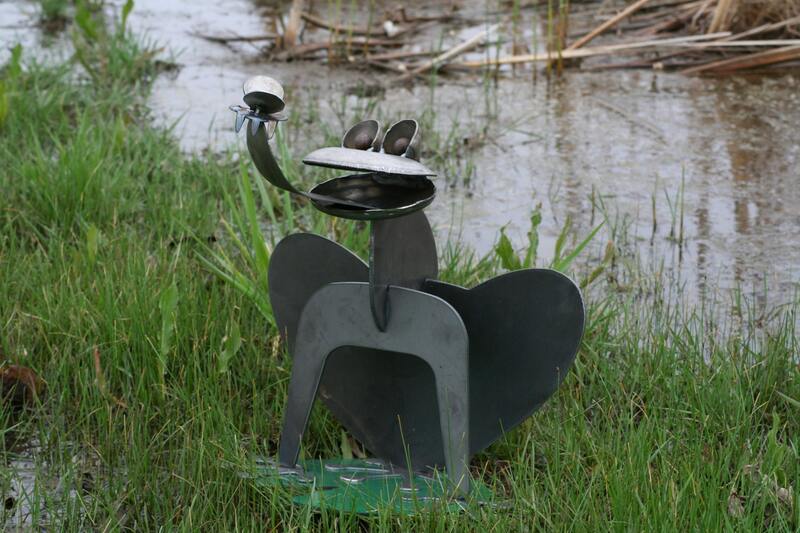 Great landscape art piece for home or the lake house. Roughly 16" tall and 14" wide including tongue! 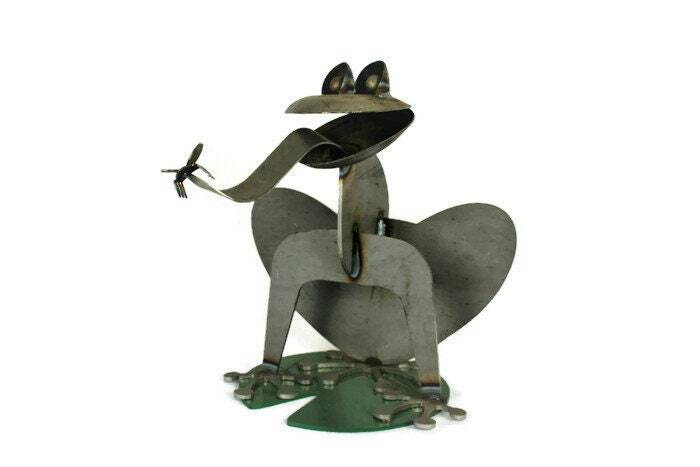 Your frog will ship for FREE! No additional surprises at checkout. 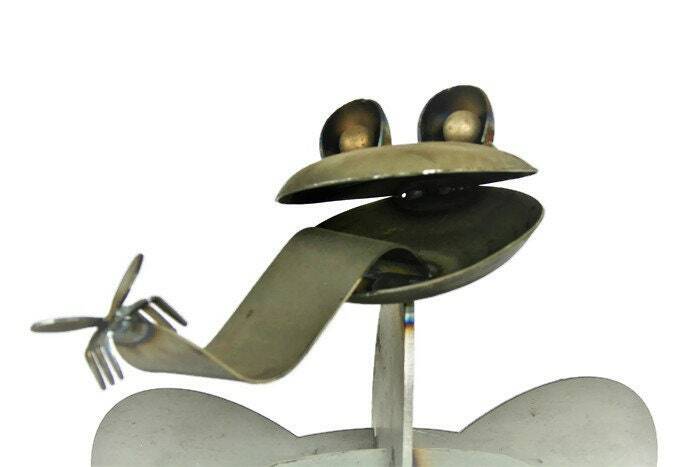 We hope you love this giant frog as much as we loved making it for you! What a cute frog! Love it! 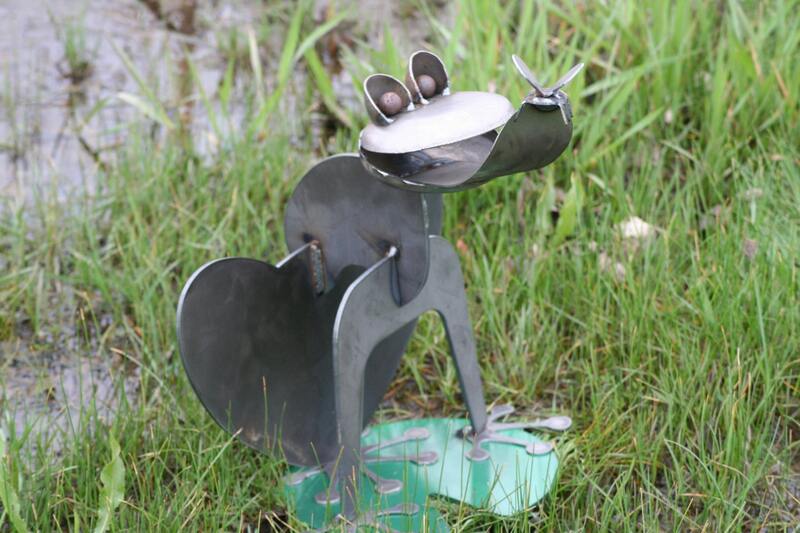 Perfect for my water feature, I will be back!